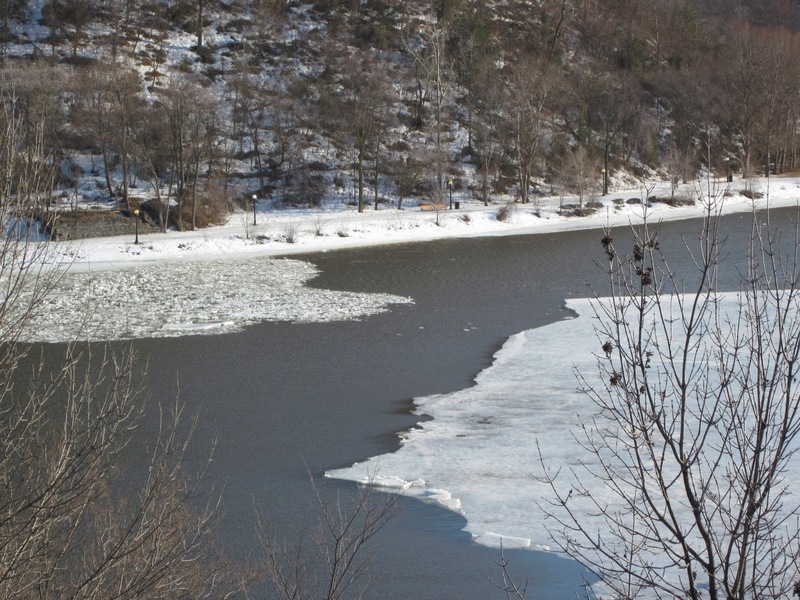 It has been bitterly cold the last couple of days. Like most people I know, I have felt rather discouraged that the beginning of April is feeling more like January. This morning when I walked to work, the temperature was -8 degrees (Celsius) but with the windchill it felt like -15. 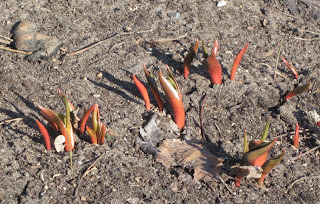 Then, I spied something poking up out of the soil as I passed by someone's front yard. Bulbs are starting to grow! Oh wonderful! 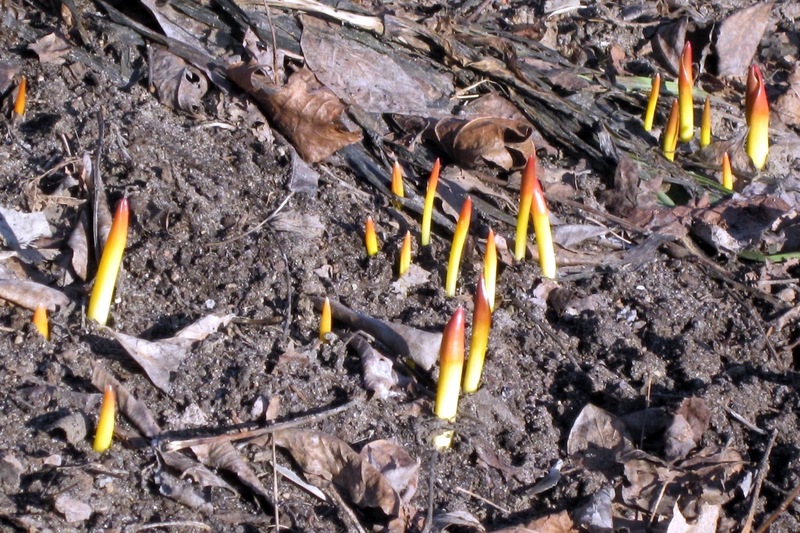 Despite the bitter cold, there is new life stirring under the ground and starting to emerge. 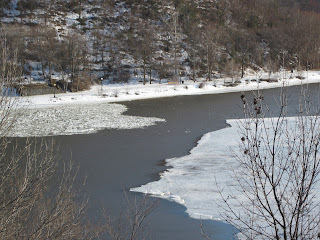 Later, I walked over the bridge and noted the progress of the ice breaking up on the Ottawa River. 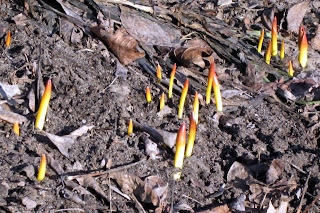 Another sign that spring and the warm weather will eventually arrive, albeit slowly this year. Thank goodness for the little things that give us hope! 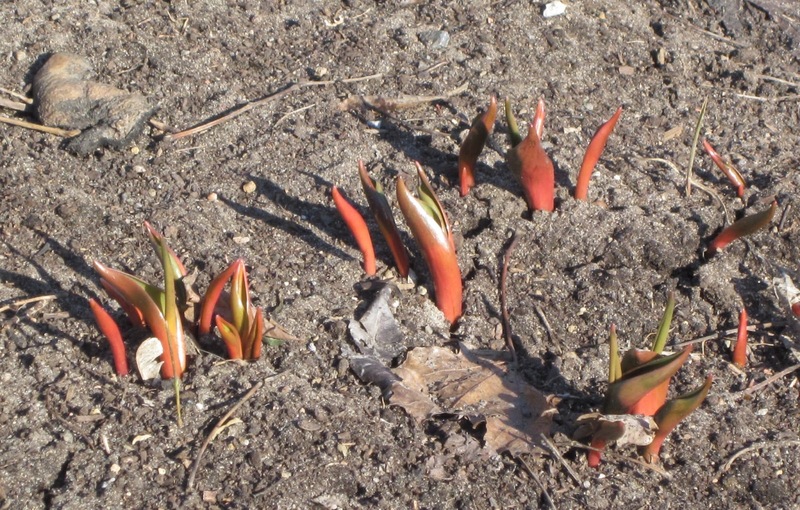 There are lots of bulbs sprouting up on Bloor Street near my work - it's amazing how quickly they are growing!